The opportunity and need is before us! We can rebuild homes and lives in Iraq since ISIS has been pushed out. 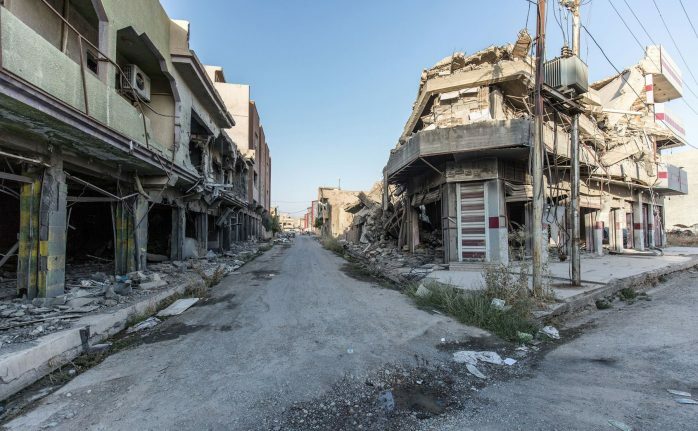 After Qaraqosh, a largely Christian populated town in Iraq outside of Mosul, was captured in 2014 by ISIS, they drove out the believers, destroyed the churches, and gutted or destroyed hundreds of homes. Now that Iraqi forces have liberated Qaraqosh and Mosul from the grip of ISIS, families are eager to return to their homes and to rebuild their lives. This is a huge challenge for many who lost everything when they have to flee. Families are now seeking to return but their homes are rubble. They need our help to repair damage, replace doors, windows, and fixtures, and paint over ISIS graffiti as they reclaim their town. Through your gifts this past year we have been able to raise funds to restore one home and see one family be able to move back to their home and restart their lives! $2800 rebuilt one home! Thanks for your giving to iGive Global in 2017! You can continue to support the work of rebuilding lives and giving hope to those with great potential but limited resources in difficult spots in the world through ongoing giving. Can we restore another home! Consider a donation as the end of the year comes! While Mike has not been able to return to Erbil the fall of 2017 as was planned due to the tensions between the Iraqi government and the Kurdish Regional Government, fortunately the work on the ground through people present has been able to continue. Pray for open doors of travel to the region in 2018, and for resources to restore more families to their homes once again.